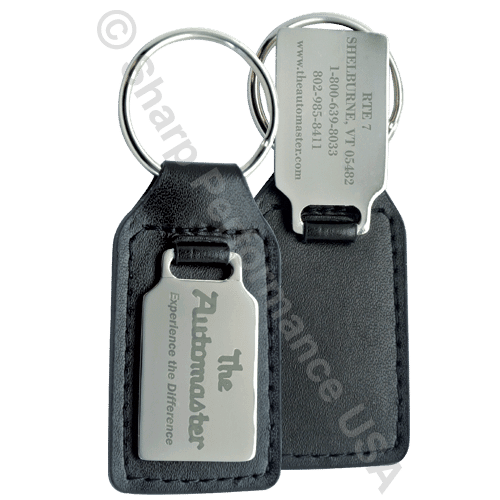 Leather key fob with flip up engraved metal medallion. Metal part can be laser engraved on both sides, or printed with an epoxy dome on the front side. Leather can be embossed with a custom logo. Promotional keychain shown. Let us create a custom 3D design with your logo. Wholesale bulk only. Not for retail. Front Side: Full color domed logo, or laser logo on front.